In January this year, I missed the Super Blue Blood Moon, that rare event saw a total lunar eclipse occur when the second full moon for the month was in perigee (its point of orbit when its nearest the Earth). I was guttered, the weather was so unkind with huge summer storms rolling in even though clear skies were predicted. But I did say back then that what I love so much about the Moon is that every month there’s a chance to see it full. Sometimes there are two chances, and at other times special events coincide with the Moon being full. This is what happened during the recent eclipse when totality – the duration of total obstruction during an eclipse – lasted an unusually long time and it’s all thanks to a few celestial events converging – well, almost converging. Firstly, 14 hours before the Moon became full, it reached apogee and the Moon moves slower when its orbit takes it to its farthest point from the Earth. Next, three weeks before the eclipse the Earth arrived at aphelion – its farthest point in orbit around the Sun – causing the Earth’s umbral shadow to be larger than normal in angular size. And finally, the Moon passed just to the north of the middle of Earth’s shadow and reached the descending node of its orbit just 138 minutes after it arrived at full, resulting in a nearly central total eclipse. 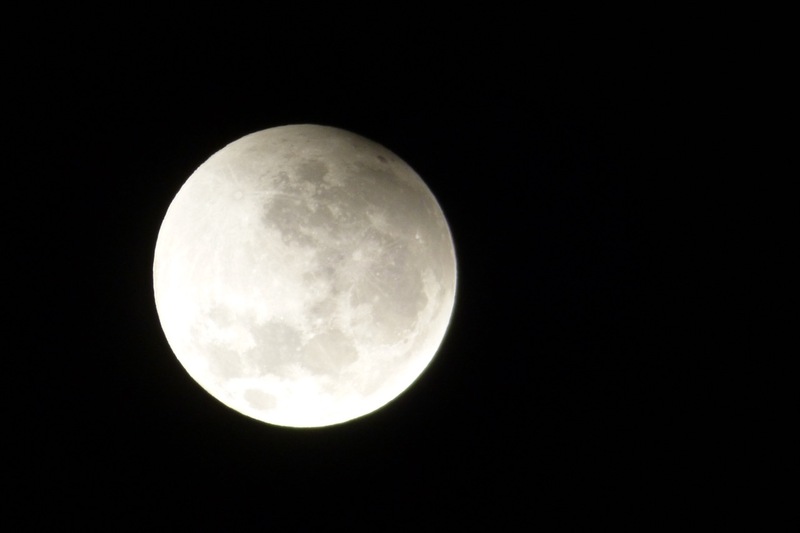 In layman’s terms, we had a small (micro) Moon, moving slower than usual, passing almost straight through the middle of a larger-than-normal shadow of the Earth resulting in an unusually long lunar eclipse. Actually, the total phase lasted 1 hour and 43 minutes – just 4 minutes shy of the longest possible and the longest we’ll see until June 9, 2123. WOW! But I’m guessing I won’t be here for that, so seeing this one was important as well as possible. It would be almost entirely visible where we live, the skies were clear, no rain was predicted, and all I had to do was set the alarm and get out of bed. The Moon looked stunning before I called it a night and tried to catch a few hours of sleep. With two alarms set, I slept knowing some noise would wake me in time. I needn’t have worried, as my body clock had also set an alarm and I woke 15 minutes before my (smart) phone had a chance to tell me to get up. This meant I could creep out of bed and turn off the alarms without waking Dean. It was 3:15 am and well before the eclipse started. There was a little cloud about, but it didn’t hang around for long. I thought the Moon still looked stunning. But the eclipse wasn’t starting for another hour or so and I went back to bed. An hour later, and I was up again, ready to watch the Moon become obscured. I made a coffee, Dean grabbed a tea, and we settled in to watch the show. It didn’t disappoint. 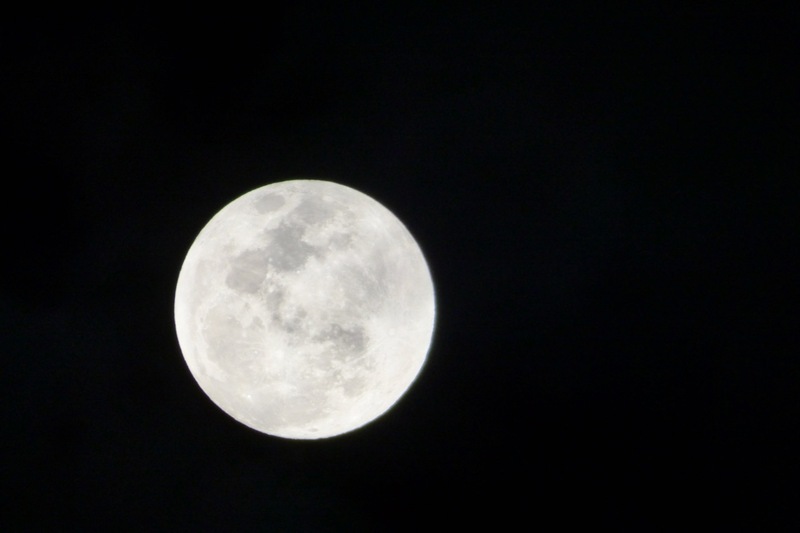 At 4:21 am, you could clearly see the shadow creeping down from the top right of the Moon’s surface. I sat there, watching and clicking away occasionally, but because my camera is only of the ‘point ‘n click’ variety, it has a mind of its own and zooming in and out can produce varying results. 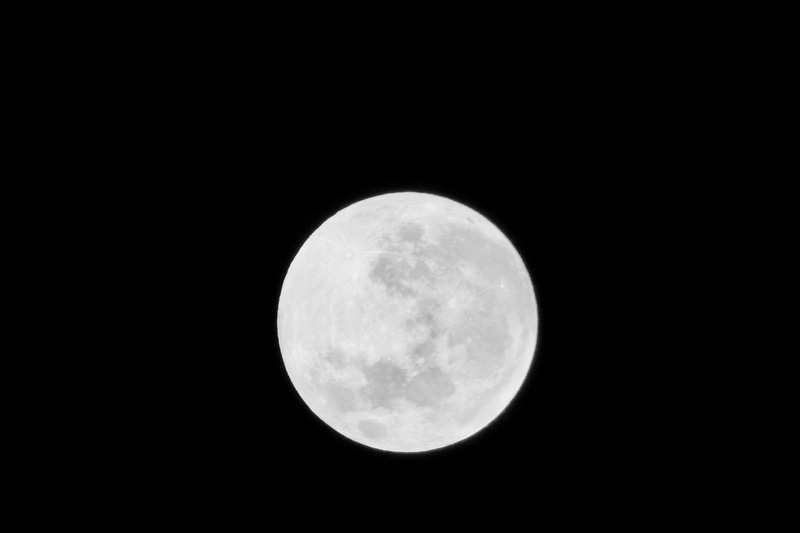 As the Earth’s shadow crept across the surface fo the Moon, it grew noticeably darker and my camera started to struggle. Getting a clear image was not easy. And then at 5:23 am, the Moon was just about there, just about completely covered by the Earth’s shadow. I have to say, my camera saw things we didn’t and grabbed a lot of colour that our eyes couldn’t see. 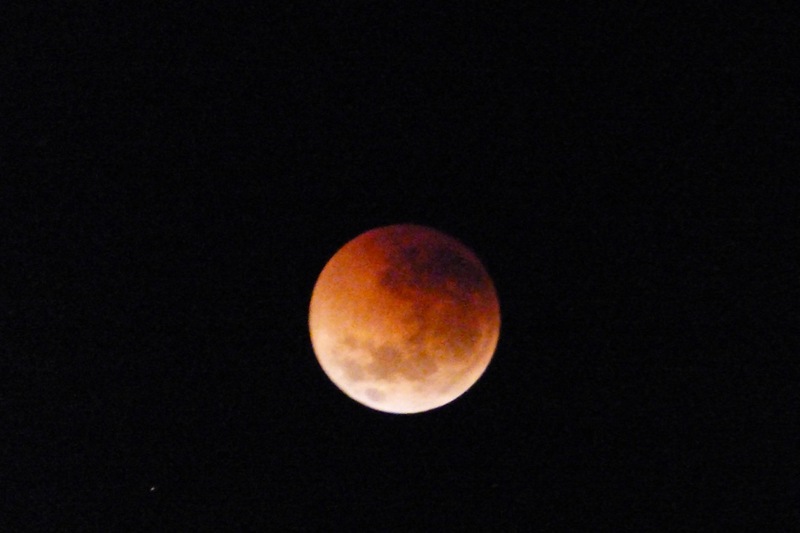 All in all, I still think it looked beautiful regardless of whether it was blood red or not. As time crept on and the Sun began to rise, the Moon became almost difficult to see in the lightening sky. We didn’t get to see the eclipse in reverse, because at 6:35 am, the Moon slipped out of view. I’m thrilled I got out of bed as early as I did, enjoying a coffee and relaxing while watching this celestial show unfold. 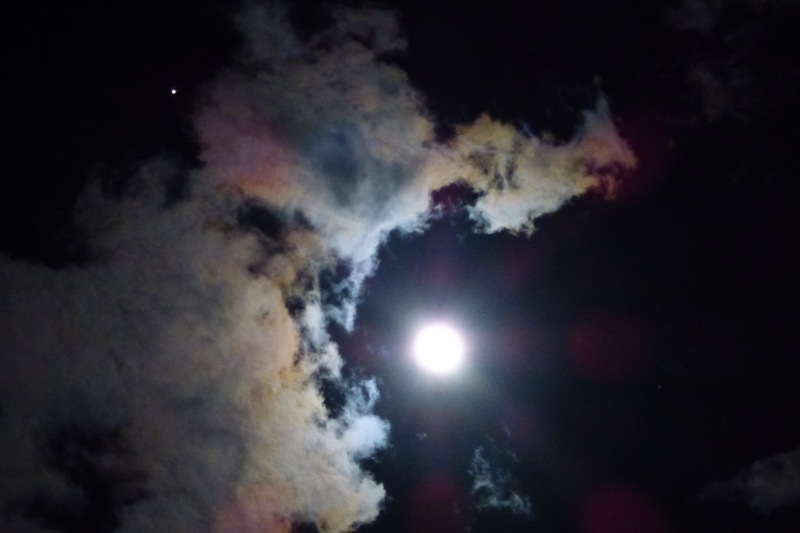 And all the while, Mars was in opposition, following the Moon across the night sky. The next total eclipse of the moon will occur Sunday, January 20, 2019, and those in North America who missed it this time will get a front row seat then. As for the next total lunar eclipse here, I’ll have to wait until May 2021. Well done Clare I totally missed it being in Adelaide at the time and missing all news about it until it was too late! That’s my usual trick, however, I knew about this one because missed the big one in January. Man! Those are GREAT pictures!!! Camera or phone? FABULOUS shots! 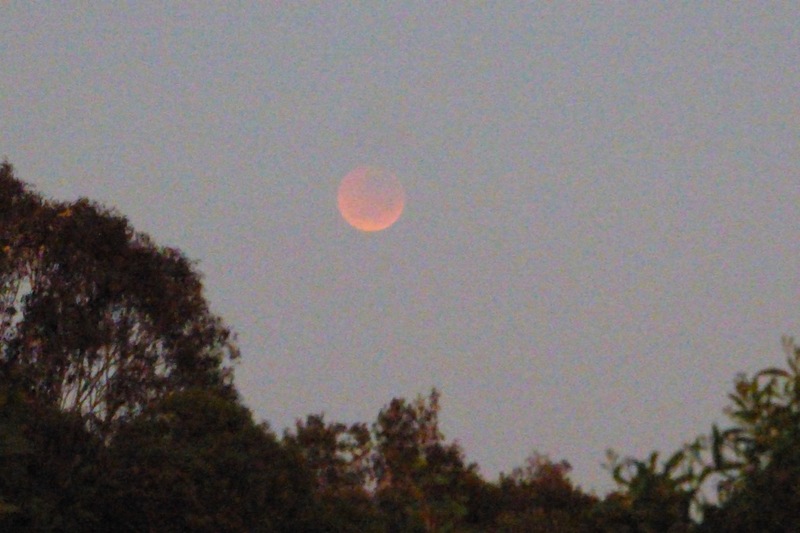 we could not see it up here but the moon did look a bit red from afar! I am thrilled that you shared these! THANK YOU! They were great! And to experience it is such a thrill! 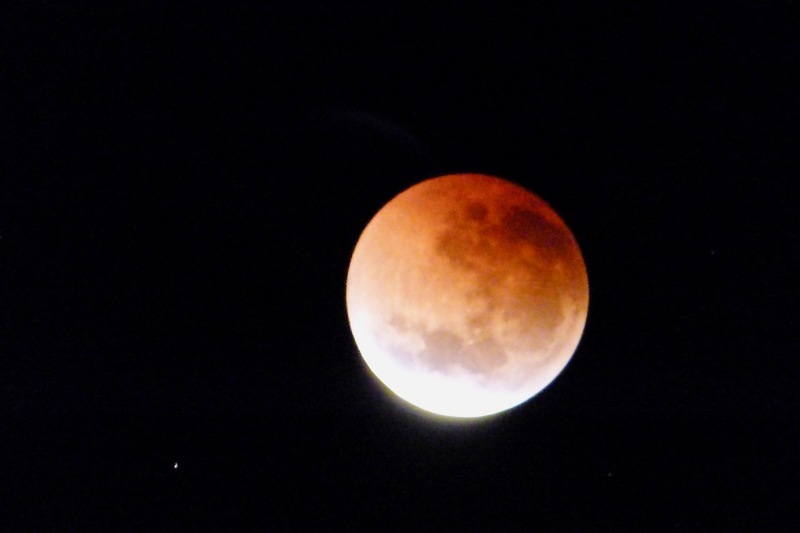 We experienced a Lunar Eclipse in AZ and it is thrilling! !